The Championships 2016 were spread over three September days, not due to TV coverage but because of variable weather. 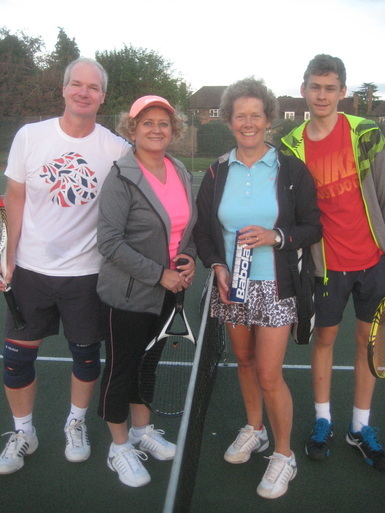 The singles winners were Margaret Southerden and Rob Coull. Ladies doubles resulted in a win for Jill Anderson and Sandra Buckeldee. Mens doubles champions were Martin and Daniel Buckeldee. Mixed doubles honours go to Sandra and Daniel Buckeldee. Thanks to Rob and Karen for organising.